Is this email not looking the way it should? Click here to view it in your browser. The Society of Antiquaries of London Online Newsletter (Salon) is a fortnightly digest of heritage news. It focuses on the activities of the Society and the contributions that the Society's Fellows make to public life. A copy of Salonâ€™s editorial policy can be found on the Societyâ€™s website. Please send news, comment and feedback for publication to the Editor, Mike Pitts, at Salon Editor (if you are reading this in an email, do not reply directly as we will not receive your message). Salon does not review books, but the Editor is pleased to receive details and front cover images of new titles written by Fellows. Scholarly publications are reviewed in The Antiquaries Journal: for details see Publications. The DCMS is seeking views about a new Cultural Protection Fund to be established in Spring 2016 to help address recovery from acts of cultural destruction overseas, focusing on the MENA (Middle East and North Africa) region. Â£30 million is earmarked to help protect cultural heritage, provide training to local professionals in conserving cultural assets, and support programmes using cultural heritage to help local and national economies through rebuilding heritage and fostering opportunities for tourism, research and employment. The Fund will support programmes and organisations pursuing these goals initially in the MENA region. The intention is that the British Council, under the umbrella of the FCO, will work in partnership with DCMS to administer the grant funding to eligible applicants. The government is now consulting on how to deliver the Fund: What should be its geographical focus, the scope of items or sites to be protected, the scope of action, the types of programmes which would be eligible to bid for grants, and the size of grants? Fellows who wish to contribute to the Societyâ€™s response, which will be agreed by the Society's Policy Committee, are asked to submit their views no later than Monday, 9 February. Submissions should be emailed to admin@sal.org.uk, with 'Cultural Protection Fund' in the subject line. Since the last edition of Salon, two further episodes of Battlefield Recovery have been broadcast on Channel 5, and members of Council have received further representations from the Fellowship about the appalling practices that are being shown. As a result, we have braced ourselves and watched the programmes, and have taken the view that a response from the Society to Channel 5 and to its regulators is indeed warranted. We are writing to express our great concern and dismay. Our criticism focuses on the careless, insensitive and unethical treatment of the human remains, but also the mistreatment of other finds, the inept standards of excavation and the shocking disregard for safe systems of working. Important opportunities were lost to learn about the battlefields and the identities of the people recovered â€“ whether they have living relatives and how they spent the ends of their lives. Battlefield archaeology is a well-developed field with respected specialists, codes of conduct and some exemplary practice, and there is no excuse for work of this standard, nor its positive publicity in the media. The broadcast of these programmes in a congratulatory fashion on prime-time television is at best in very poor taste, creating an extremely misleading impression of battlefield archaeology, and at worst encourages others to operate in a similar, cavalier fashion. We hope that they will cease to show further episodes of this programme. A copy of the Society's offical letter will be posted on our website after as soon as it has reached Channel 5: keep an eye on www.sal.org.uk/news. The Society has been accepted for inclusion in a brochure, funded by the ACE Resilience Fund, that will promote the Society's Library and Museum collections at both Burlington House and Kelmscott Manor abroad. As part of an ACE-funded project to develop the capacity of museums to tour exhibitions and collections internationally, the British Council is producing this brochure to showcase the wealth of collections held by UK museums and to encourage approaches from overseas museums for touring exhibitions or loans. The brochure, which will be available both in hard copies and online, will be used by British embassies and UK Trade & Investment and British Council offices overseas to promote UK museums worldwide. Content is being collated and edited by the National Museum Directors' Council (NMDC), and it will be launched at the American Alliance of Museums conference in Washington, DC, in May 2016. Following that date, the Society will post links to the online version of the brochure to its website. All UK museums â€“ both national and non-national, and in Scotland, Wales and Northern Ireland as well as England - were invited to register their interest (with no charge levied for inclusion in the brochure). The Society is honoured to be among the selected museums for inclusion and hopes that the brochure will help us raise the profile of our organisation and collections, and work we do to improve access to the collections. A Short Debate in the House of Lords on Cultural Property: Hague Convention on 14 January, at times gave the impression of a Society debate moved to a higher place. Opening the occasion, Baroness Andrews thanked Peter Stone FSA (UNESCO Chair in Cultural Property Protection and Peace at the University of Newcastle) and Mike Heyworth FSA (Director of the Council for British Archaeology) for their help. Noting that it was â€˜a very unfashionable hourâ€™ and â€˜extremely coldâ€™, Baroness Andrews wished to know about Her Majestyâ€™s Governmentâ€™s plan for ratifying the Hague Convention for the Protection of Cultural Property in the Event of Armed Conflict. 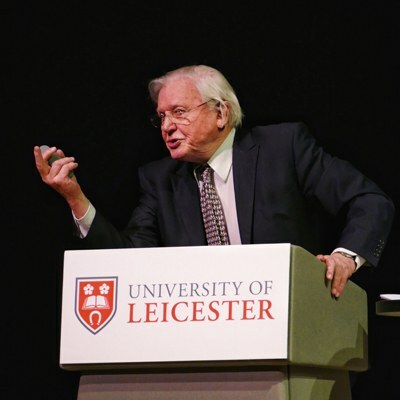 This followed an announcement last June by John Whittingdale, Secretary of State for Culture Media and Sport, that the Government would ratify the Convention â€˜at the first opportunityâ€™, having signed it over 60 years before. Baroness Berridge said that â€˜for many years the UK did not believe that the legislation was effectiveâ€™. Since the adoption of the Second Protocol [in 1999], however, â€˜with clear criminal sanctions which the UK was involved in securing â€¦ there has been no good reason not to ratify the Conventionâ€™. â€˜The need to ratify is now urgent,â€™ she concluded. â€˜We are a global leader,â€™ but we are the only permanent member of the UN Security Council not to have done so. The Baroness, closing the debate for the Government, avoided the question by referring to the Governmentâ€™s announcement last October to provide Â£3 million for the British Museum to work with Iraq to set up a rescue archaeology programme, and a new commitment of Â£30 million to a Cultural Protection Fund. No programme for ratifying the Hague Convention was offered. A work in progress, and a rare area of great interest where you can still feel you are treading new ground and seeing the unobserved. 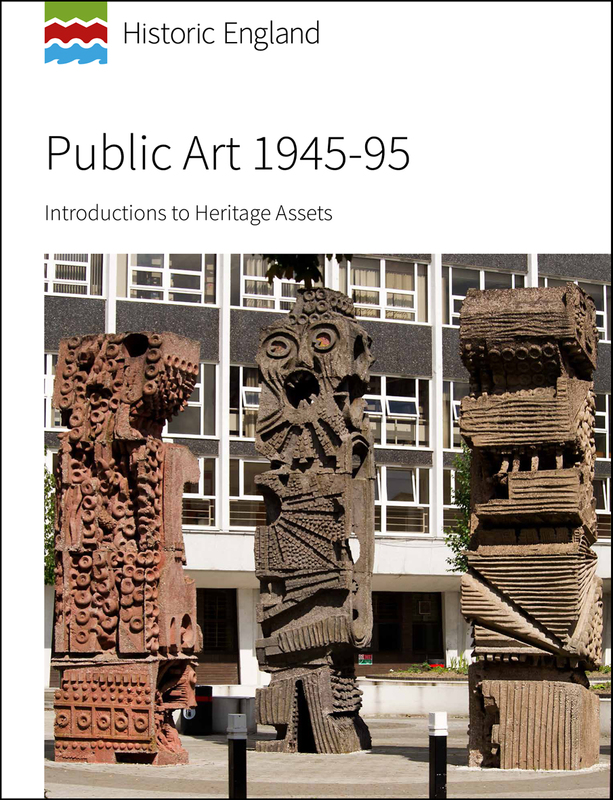 There will be an exhibition created by Historic England, telling the story of post-war public art, at Somerset House, London, from 3 February until 10 April. It is, says HE, its â€˜first major exhibitionâ€™. The show â€˜will follow the fates and fortunes of site-specific sculptures and reliefs by pioneering artists, focussing on works that will be listedâ€™, by artists such as Barbara Hepworth, Henry Moore, Ralph Brown, Geoffrey Clarke, William Mitchell, Elisabeth Frink and Paul Mount. HE â€˜will explain why post-war public art matters, how it might be looked after better and what we can all do to help save it.â€™ â€˜Out There: Our Post-War Public Artâ€™ will be accompanied by a variety of public events and a debate at the Royal Academy. Much public art is commissioned locally from relatively unsung artists. John Hodgson, a freelance illustration and design artist and a Visiting Lecturer in Conservation Sciences at Bournemouth University, is a good example. His work can be seen across Hampshire and Dorset. 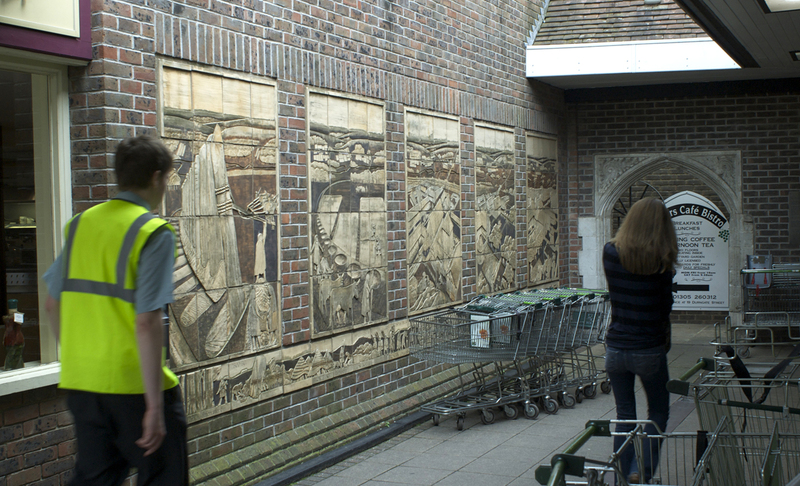 The photos show his ceramic mural, depicting Dorchesterâ€™s history, made in 1986 outside the town's Waitrose. 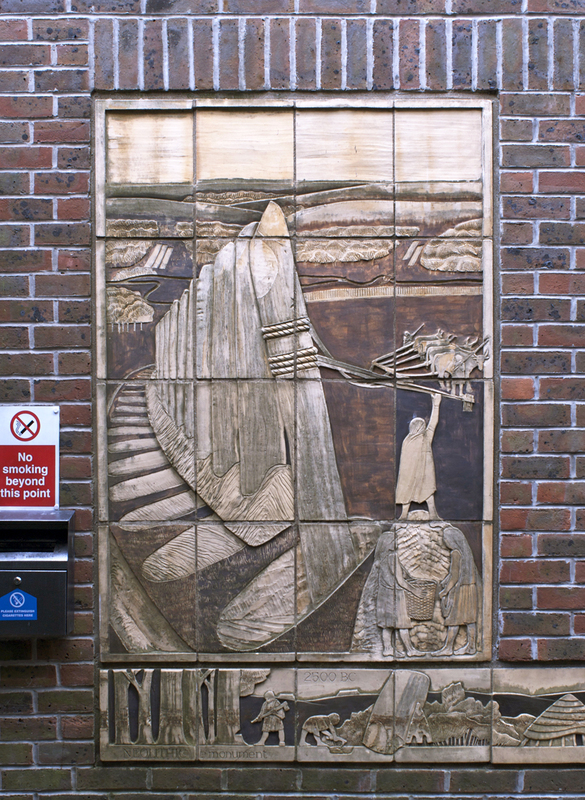 The selected panel features a neolithic monument partially revealed when the supermarket was built, in excavations (on which Hodgson himself worked) published by Peter Woodward FSA, Sue Davies FSA and AH Graham. There are diagram panels in the basement car park, and 20 red discs on the road surface mark out the sites of huge post pits. The entire building is a work of communicative art, never visible in its entirety at one time and always partially concealed beneath the impedimenta of parking and shopping. Lt-Col William Hawley FSA thought Stonehenge was a defended settlement with some architectural flourishes on the side (people lived in a ditch, he said, perhaps remembering his military experiences). Itâ€™s a shame there was no TV when he directed the Societyâ€™s excavations there 1919â€“26, or weâ€™d know more about him and his work. The Societyâ€™s long engagement with the stones was otherwise much in evidence in Stonehenge: A Timewatch Guide (BBC4 27 January), which cleverly presented clips from 50-odd years of programming. Moving cameras were there for the next major project, directed initially in 1950 by Richard Atkinson FSA, Stuart Piggott FSA and Jack (JFS) Stone FSA, and continuing intermittently under Atkinson until 1964. Glyn Daniel FSA introduced a BBC film of excavation underway and a studio discussion in 1954, in Paul Johnstoneâ€™s Buried Treasure: Stonehenge. The programme was the first of many. In 1954 we saw Atkinson commanding public-school boys in an experiment moving bluestones. We saw him again in 1972 in a Chronicle studio discussion chaired by Magnus Magnusson FSA, debating with geologist Geoffrey Kellaway whether the bluestones reached Stonehenge by human transport or glacial action (Daniel sat beside him, bringing moral support with a quizzical smirk). We saw Aubrey Burl FSA emphasise the significance of the dead at Stonehenge (Timewatch: Magic Circles 1985). 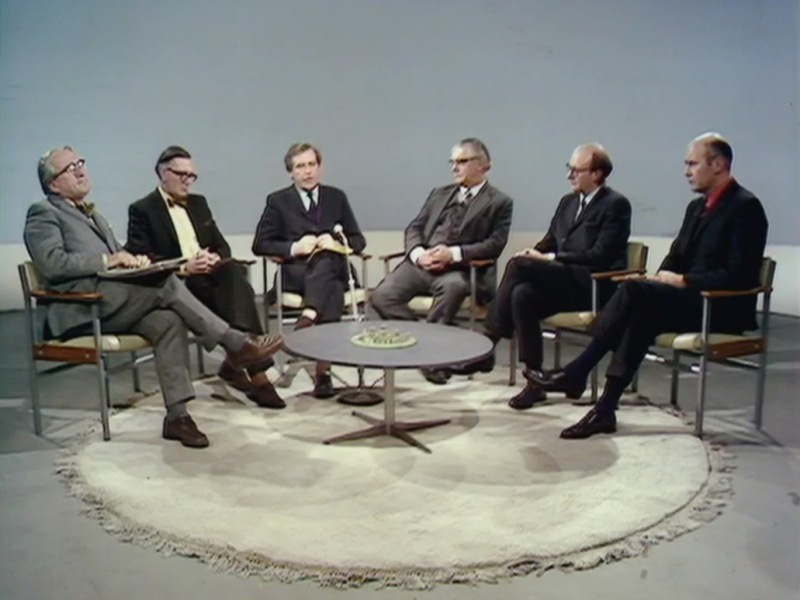 Colin Renfrew FSA stood at a table of artefacts and demolished Piggottâ€™s and Atkinson's idea of the Wessex Culture (Horizon 1986). Julian Richards FSA watched a concrete trilithon being erected in a reconstruction experiment that seemed unnecessarily clever for neolithic engineering (Secrets of Lost Empires 1996). Mike Parker Pearson FSA brought a Madagascan archaeologist to Stonehenge to talk about ancestors (Ancient Voices 1998). Clive Ruggles FSA talked about Stonehenge astronomy, while Richards and Mike Allen FSA offered archaeological perspectives (Meet the Ancestors 2004). Tim Darvill FSA and Geoffrey Wainwright FSA directed a dig in search of healing bluestones, and Jacqueline McKinley FSA examined the remains of the â€œAmesbury Archerâ€ (Timewatch: Stonehenge 2008). Darvill, Parker Pearson and I popped up occasionally to add to Alice Robertsâ€™ presentation. The programme can be seen on iPlayer until 27 February. Robin Lane Fox introduces a collection of complete BBC archaeology films online at Archaeology on the BBC. These are ideas other broadcasters â€“ for which much further Stonehenge and other archaeological work has been filmed â€“ could profitably adapt. Photo is a clip from Buried Treasure, showing from left, Daniel, Atkinson, Magnusson and Kellaway. The above piece, you may have noticed, featured only one woman. This is a topic that has raised much interest here before, for good reason. I return to it with news of one of the Societyâ€™s most distinguished Fellows, Gertrude Bell FSA, whose biographer died in January. As Lydia Carr FSA writes in her biography of Tessa Wheeler FSA (Tessa Verney Wheeler: Women and Archaeology Before Word War Two, 2012), the Society proposed a list of six women for nomination on 25 February 1920. Four accepted and were elected in 1921, among them Gertrude Bell on 13 February, and Nina Layard FSA on 3 March. There is a new exhibition about Bell in Newcastle. 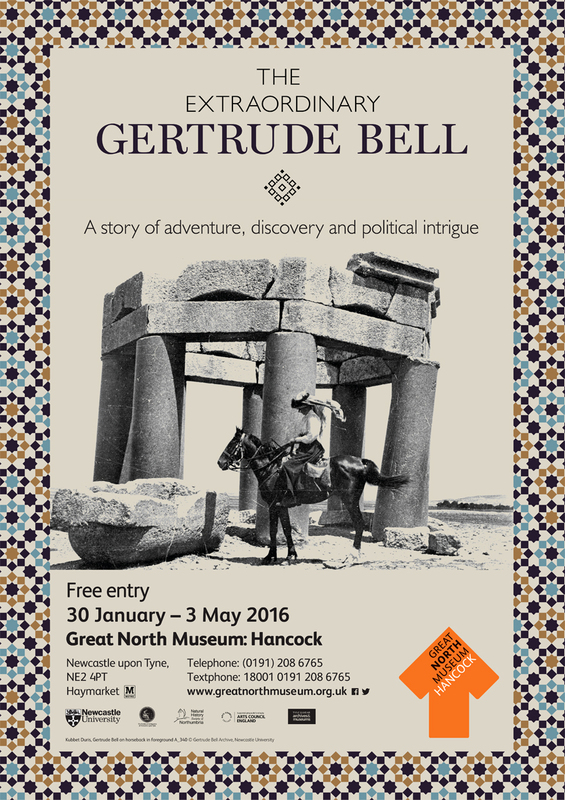 The Great North Museum (Managed by Tyne & Wear Archives & Museums on behalf of Newcastle University) opened The Extraordinary Gertrude Bell on 30 January; it runs until 3 May. The show features material from the Gertrude Bell Archive, with significant loans from the British Museum, Imperial War Museum and others, including her theodolite, notebooks from the Royal Geographical Society and archaeological artefacts. Bellâ€™s most recent and best biographer was Georgina Howell, a perceptive journalist and writer who died on 21 January aged 73. Published in 2006, her Daughter of the Desert: The Remarkable Life of Gertrude Bell was retitled for a 2015 paperback as Queen of the Desert: The Extraordinary Life of Gertrude Bell. This might have seemed an unnecessary confusion, with Janet Wallachâ€™s less successful Desert Queen: The Extraordinary Life of Gertrude Bell, Adventurer, Adviser to Kings, Ally of Lawrence of Arabia (1996) still in print. It did, however, bring it in line with Werner Herzogâ€™s 2015 film Queen of the Desert, which features Nicole Kidman as Bell and Robert Pattinson as TE Lawrence (in The Guardian, Peter Bradshaw described the film as â€˜impeccably mounted, competently made, entirely respectable â€“ and a bit of a plodâ€™). It has yet to be released in the UK. On 8 March, International Womenâ€™s Day, there will be a tour around Burlington House to celebrate significant women in the history of the Learned Societies. The project is a collaboration between all the Societies to highlight contributions that female members have made to the arts and sciences. The women include pioneering female Fellows of the Society of Antiquaries, the Royal Academy of Arts, the Geological Society, the Royal Astronomical Society, the Royal Society of Chemistry (celebrating its 175th anniversary) and the Linnean Society. â€˜Women in Focus: Inspirational Women of the Learned Societiesâ€™ is, as I write, fully booked. The Museum commissioned the book as part of its bicentenary celebrations, which will include a complementary exhibition in the Octagon Gallery, opening on 4 February. 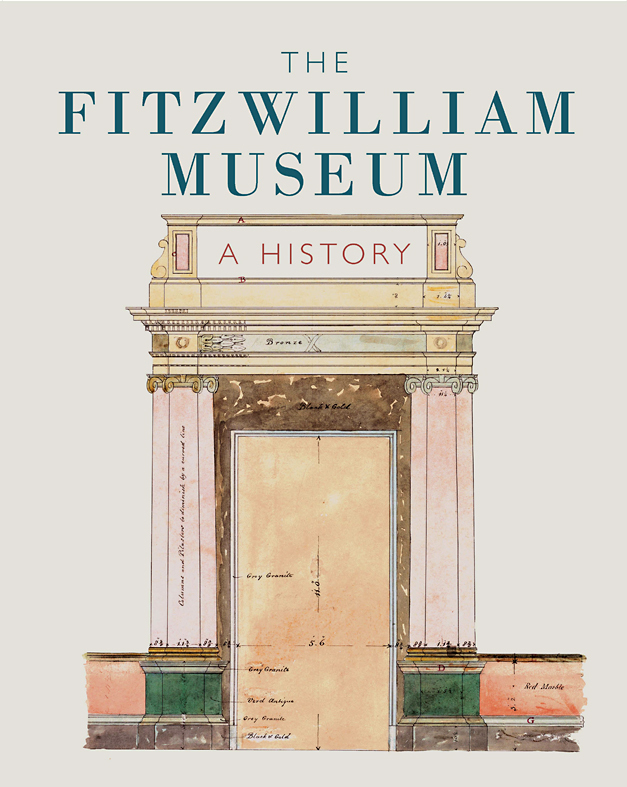 A timeline of the Fitzwilliamâ€™s first 200 years will introduce key themes, characters and significant objects showing the Museumâ€™s development. The two major exhibitions of the bicentenary year, says a press release, celebrate two of the richest and most popular of the Museumâ€™s own collections: illuminated manuscripts and Egyptian coffins, both of which have their origins in the Museumâ€™s first decade. The coffin collection began with one of the earliest gifts to the Fitzwilliam in 1822. Manuscripts on show will include examples from Viscount Fitzwilliamâ€™s founding bequest, which, under its strict terms, may never leave the Museum. Both exhibitions also look to the future, presenting the latest in conservation science and research at the Fitzwilliam today. Death on the Nile: Uncovering the Afterlife of Ancient Egypt (23 February â€“ 22 May) explores the beliefs and working practices behind Egyptian coffins and reveals new information on how they were made. It will show how these remarkable objects were constructed and the techniques of ancient Egyptian artisans. There will be a â€˜liveâ€™ conservation area where visitors can learn about the science used to examine the 55 ancient artworks and groups of objects on display. COLOUR: The Art and Science of Illuminated Manuscripts (30 July â€“ 30 December) will display over 150 paintings on parchment and paper, representing the leading artistic centres across Europe from the eighth to the 16th centuries. Visitors will explore the creative process, from the artistsâ€™ original ideas through their choice of pigments and painting techniques to the finished masterpieces. COLOUR celebrates the cross-disciplinary research of the Cambridge Illuminations and MINIARE projects, which involved academics across the University and international collaborators combining scientific techniques and art historical research. At the gallery, in passing, Sir David defended the BBC and the planet. No one who works at the BBC, he said, should think the Corporation is safe from damage from outside. 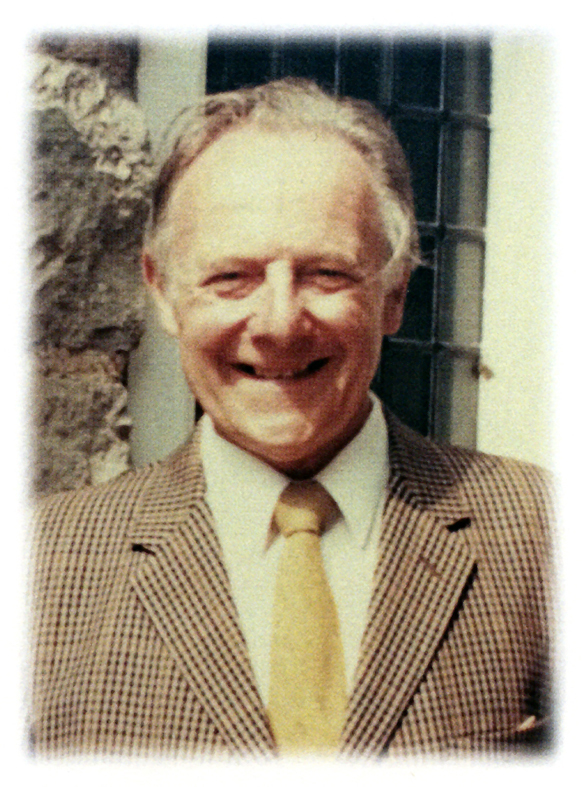 In 2007 the Lithic Studies Society (LSS) created the John Wymer Bursary, to commemorate John Wymer FSA and his contribution to archaeology. Worth Â£250, the bursary is awarded annually to support any individual to further an interest in lithic-related study. Applications are now open. The award is most likely to be given to support archaeological, geological or anthropological work, but there is no restriction on the scope. In recent years the number of applications has increased to such an extent that the LSS has decided to introduce restrictions for 2016â€“2017. 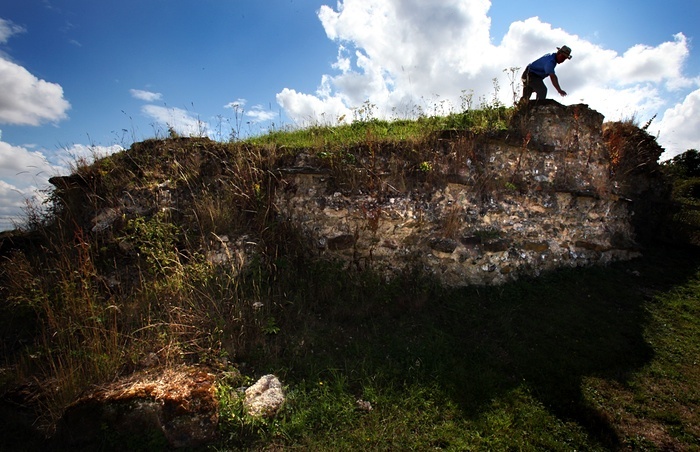 The Wymer Bursary will not now fund student participation in excavations in the UK or abroad, or applications to attend conferences, whether presenting a paper or not. Applications which focus on research-related expenses for the study of collections, excavation or other uses (e.g. outreach or education-related applications) are welcomed. Further details and an application form can be found on the LSS website. On December 17 last year Oxbow Books and Chris Evans FSA (pictured talking at the event) launched the long-awaited volume about prehistoric Mucking, Lives in Land: Prehistory, Context and Summary, by Evans, Grahame Appleby and Sam Lucy FSA. It is number 6 in a series reporting on excavations in Essex by the late Margaret Jones FSA and Tom Jones FSA; the fifth, dealing with Romano-British settlement and cemeteries, will be published later this year, completing the set. The Joneses are commemorated in the Societyâ€™s Burlington House lobby for the significant award Margaret established to support fieldwork and research (up to Â£10,500, applications for the next one need to be in by 15 January 2017). First priority is given to projects related to their excavations at Mucking between 1965 and 1978. Otherwise the limits are generously wide, with the notable exception that no one â€˜previously employed on the Mucking Archivesâ€™ can think about it. In December a crowd gathered to reminisce and greet the book. Most of those present were old enough to have dug at Mucking â€“ and many had, in a project famed for its eccentric, punishing field conditions and a succession of earlier failed attempts to bring it to print (in one of those attempts, as Margaret saw it, the work was stolen from her by the British Museum, partly explaining the grant condition). In its time, Mucking was one of the largest field projects in Europe, yet run on a shoe-string. It was almost unique in the way it relentlessly dug up ancient remains ahead of gravel quarrying, year in year out. Partly because of this persistence, and a policy (now long abandoned in such contexts) of excavating absolutely everything, the record of prehistoric, Roman and Anglo-Saxon settlement is quite unmatched. Produced under Evansâ€™s leadership, the new book pulls off the remarkable trick of not only offering a comprehensive tour through the vast prehistoric archive, but also of seeing the significant, wider implications of the discoveries for British prehistory and history. Additionally it contains much about Mucking's historiographical and social side, including recollections from John Barrett FSA, Dave Buckley FSA, Tim Darvill FSA, Paul Drury FSA, Elizabeth Healey FSA, Helena Hamerow FSA, Catherine Hills FSA, the late Ian Kinnes FSA, Adrian Olivier FSA, Dominic Powlesland FSA, Francis Pryor FSA, Warwick Rodwell FSA, Tim Schadla-Hall FSA, Alison Taylor FSA, Isobel Thompson FSA, the late Tony Wilkinson FSA, Geoff Wainwright FSA and myself. The list says it all. 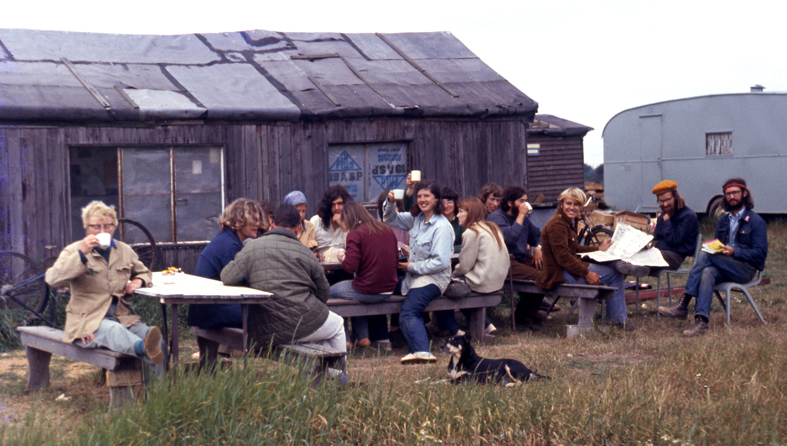 Photo below from 1972 shows Margaret Jones on left, Tom Jones to her left with his back to the camera, and their dog Reject. The British Museum, where the coins are for now, said the coins dated from the second and third centuries AD. There are 164 denarii, four brass sestertii, and 3,171 radiates. Some of the coins were still bound in textile and string. 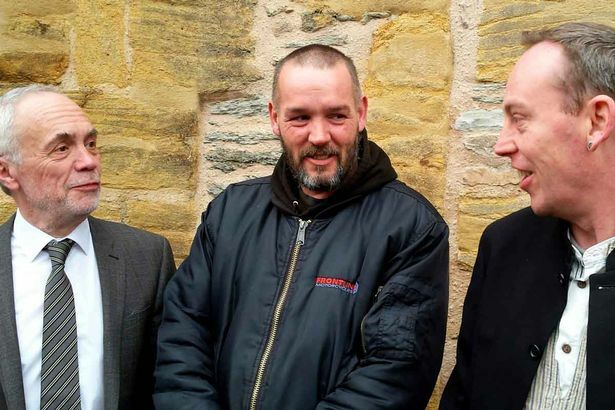 Photo shows Minnitt (left), Copsey and Historic Environment Officer Steve Membury. Peter Tate, who died on 14 January shortly before his 90th birthday, was not honoured by this Society. He will have been known to many Fellows, however, from his days as Head Custodian at Avebury, Wiltshire, where since 1970 until his retirement he greeted thousands of school children, students, tourists and harried guides, with ebullient warmth and humour. An extrovert and entertaining exponent of riding over barriers between management, academia and a visiting public, he worked beside successive Curators Faith Vatcher FSA, myself and Caroline Malone FSA. Oriel College, Oxford has a statue of its imperialist benefactor Cecil Rhodes that has been upsetting some of its students. They wanted the university to remove it. â€˜I have some sympathyâ€™, wrote Mary Beard FSA in her Times Literary Supplement blog, A Donâ€™s Life on 20 December, â€˜with the idea that an ethnic minority student in Oxford â€¦ could find it a bit in your face to have an image of Rhodes or any run of the mill Victorian racist staring down on them. But the battle isnâ€™t won by taking the statue away and pretending those people didnâ€™t exist. It's won by empowering those students to look up at Rhodes and friends with a cheery and self confident sense of unbatterability â€“ much as I find myself looking up at the statues of all those hundreds of men in history who would vehemently have objected to women having the vote, let alone the kind of job I have.â€™ The college â€“ and, it said, â€˜the overwhelming messageâ€™ it had received in more than 500 comments â€“ agreed. On 29 January Oriel announced the statue will stay. The Rhodes Must Fall campaign, which originated in South Africa with a successful toppling, is considering its next move. â€˜Revealed: King Arthur's battles were not for gold or land but food for his people after volcanic eruption caused global famine 1,500 years ago. On 19 January Nature published two papers on the topic of ancient English genomes. 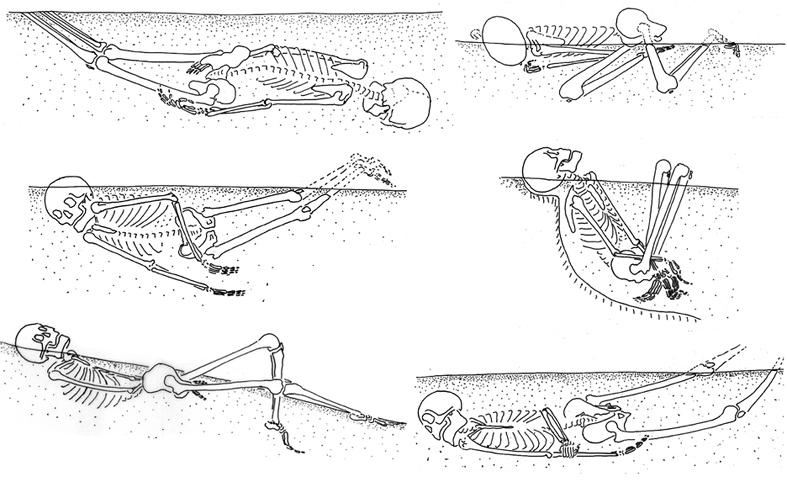 One describes analyses of skeletons from two Iron Age men and one woman, and seven Anglo-Saxon women, from around Cambridge (lead author Stephan Schiffels, with other authors including Elizabeth Popescu FSA and Duncan Sayer FSA). The other (lead author Rui Martiniano, with Maureen Carroll FSA and John Oxley FSA also contributing) reported on an Iron Age woman, five Roman men and an Anglo-Saxon man from York. By combining ancient and modern DNA and isotope analyses, the scientists and archaeologists have brought much-needed new data to the old question of the extent of Anglo-Saxon immigration â€“ which emerges as highly significant (â€˜on average the contemporary East English population derives 38% of its ancestry from Anglo-Saxon migrationsâ€™, concludes the Cambridge study). 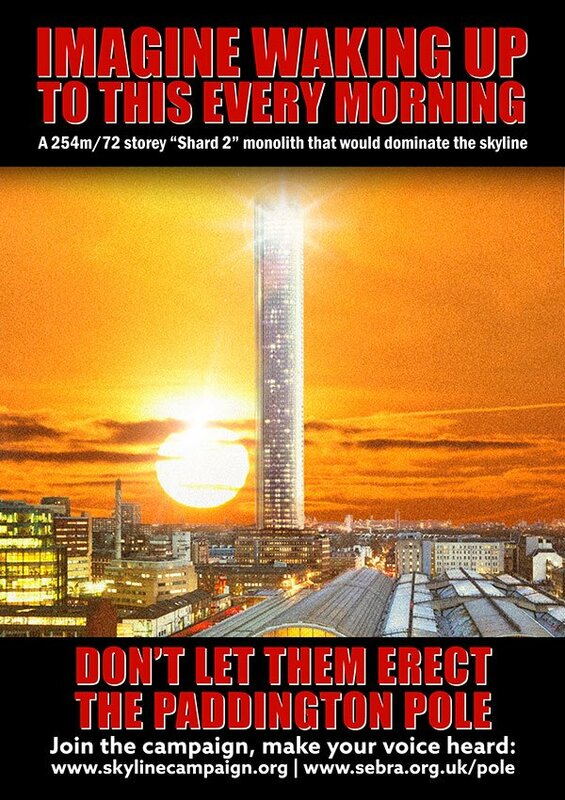 A similar project, soon to be published, has been conducted with excavated London skeletons. Rebecca Redfern FSA, Curator, Human Osteology at the Museum of London, has installed an exhibition about the research, â€˜Written in Boneâ€™, which opened late last year. 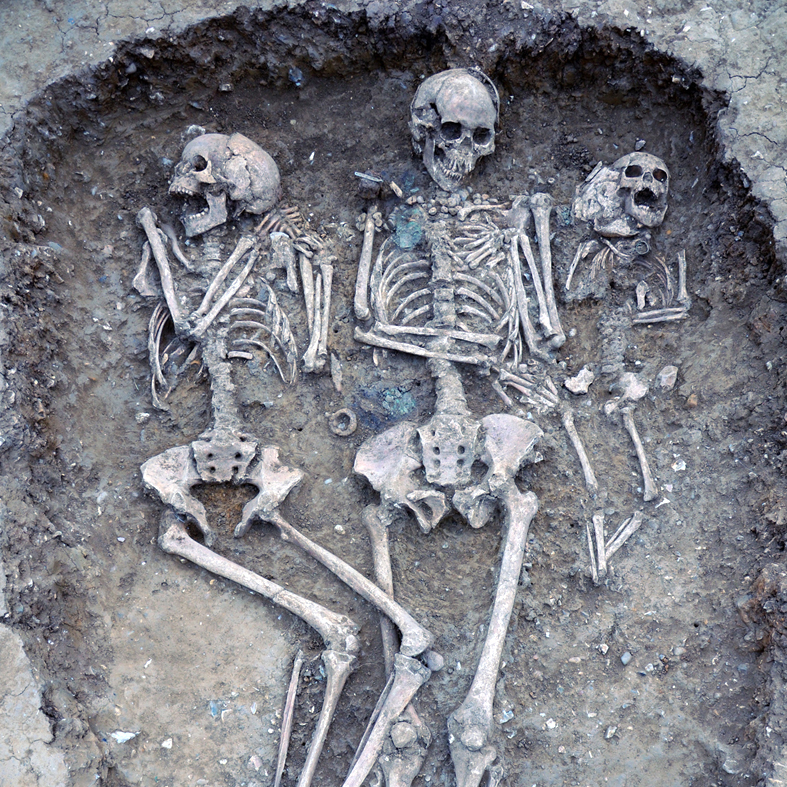 Photo shows a triple burial from Oakington, Cambridgeshire. 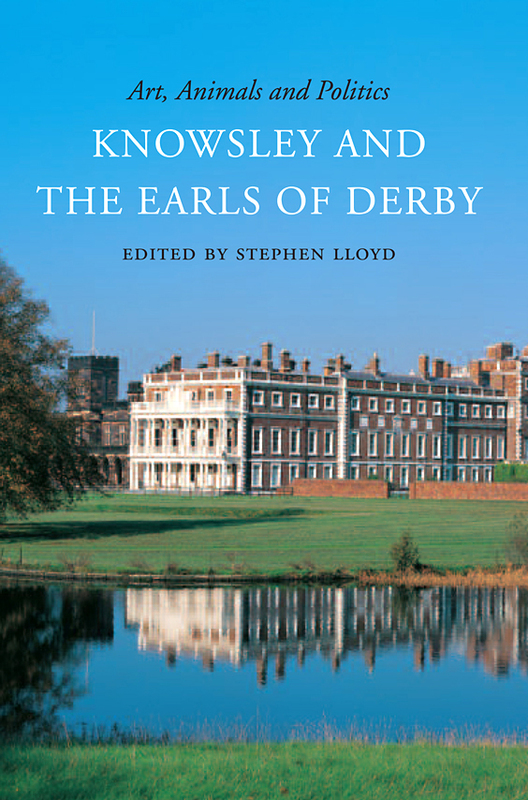 Stephen Lloyd FSA, Curator of the Derby Collection, Knowsley Hall, has edited Art, Animals and Politics: Knowsley and the Earls of Derby (University of Chicago Press, distributed by Unicorn Press), the proceedings of a study day he organised at Knowsley in 2013. Thomas, Lord Stanley, was created Earl of Derby in 1485 after the Battle of Bosworth. Since that time the Stanleys â€“ a prominent Lancastrian family, whose seat, Knowsley Hall, is near Liverpool â€“ have been significant patrons and collectors, sportsmen and politicians. Contributors to the book include David Starkey FSA, on the political significance of Lady Margaret Beaufort, the first Countess of Derby. Sir David Attenborough FSA writes about Edward Learâ€™s zoological watercolours, many of which were done at Knowsley, and Colin Harrison FSA describes Learâ€™s Knowsley landscapes. Xanthe Brooke FSA writes on the 10th Earlâ€™s paintings by JosÃ© de Ribera. Lloyd says he is organising a second study day at Knowsley Hall, on 19 October 2016, on Shakespeare, the Earls of Derby and the North West. Write to s.lloyd@knowsley.com for details. Leo Schmidt FSA, Head of Department of Architectural Conservation at the Brandenburg University of Technology Cottbus-Senftenberg, is helping to co-ordinate the site management plan for GÃ¶beklitepe, Turkey. These extraordinary and enigmatic stone ruins, over 10,000 years old, seem to defy all conventional ideas about early settled societies and the origins of monumental ritual behavior. In January Ferit Åžahenk, Chairman of the Dogus Group, called on world leaders at Davos to save the site, which is â€˜in urgent need of protection and preservationâ€™. 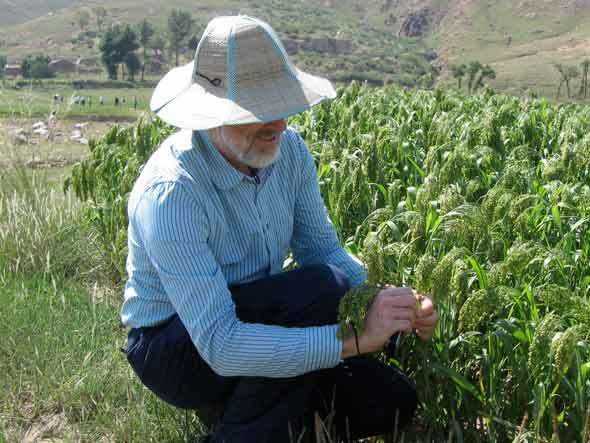 The Åžahenk Initiative pledged to kick-start the project with over $15 million. 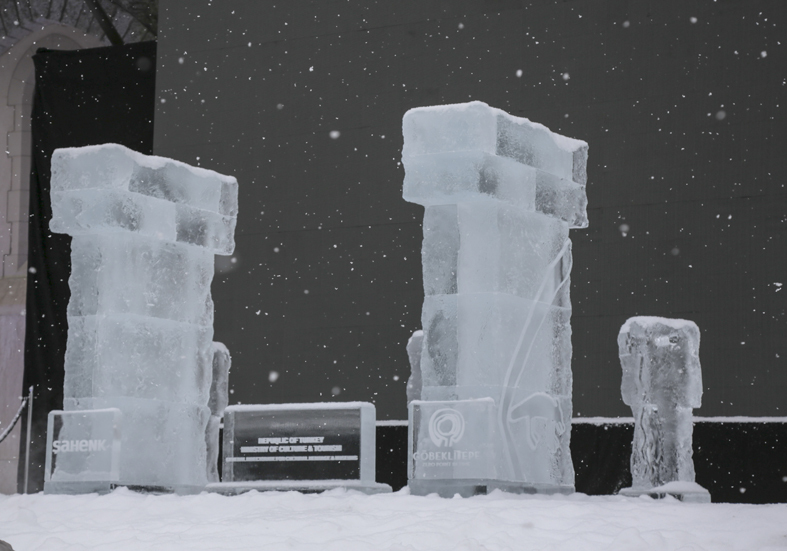 Adding to the sense of wonder and mystery, the Initiative presented Davos with a GÃ¶beklitepe ice sculpture. 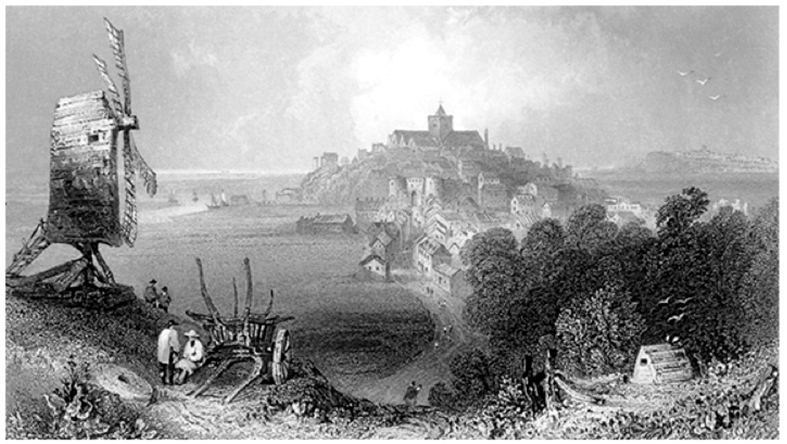 Peter Addyman FSA has edited British Historic Towns Atlas Vol. V: York (Oxbow Books). The atlas is presented as a portfolio with separate maps and illustrations, an introductory text and a gazetteer. The Principal Map shows important Medieval and post-Medieval buildings, surviving and lost, against a backdrop of York in about 1850. 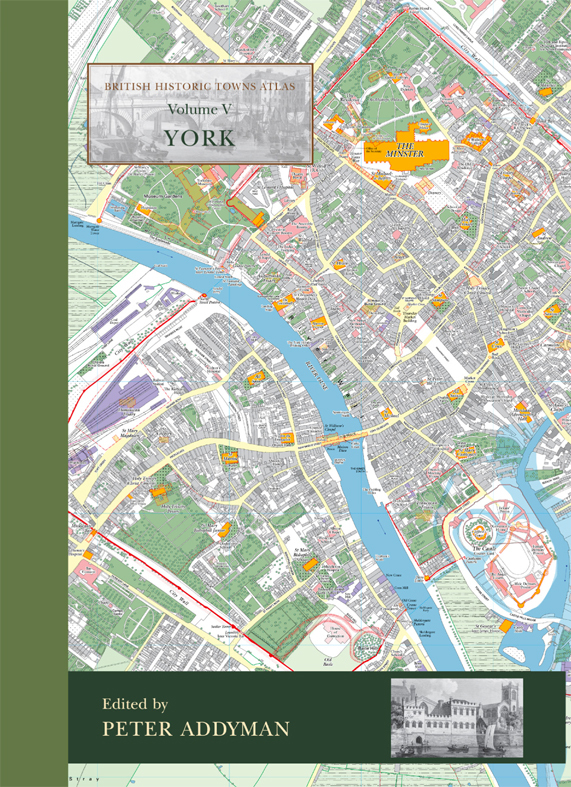 Twelve period maps chart Yorkâ€™s topographical development: its public and church buildings, streets, walls and defences, and its built-up areas, from AD 200 to 1836. In addition there are nine sheets of plates from the earliest medieval representations of York to the latest aerial photographs. â€˜I much appreciate receiving Salon,â€™ writes Michael Siddons FSA from a French address. â€˜which helps me greatly to be aware of what is going on. In your latest Salonâ€™, continues the former Wales Herald Extraordinary, â€˜you talk of Roy Strong receiving a Companion of Honour. He surely was made a Companion of Honour.â€™ Surely indeed. Henry Stapleton FSA wonders â€˜if one of our number might have the ability to pick out from some publication or other [TV] programmes that might interest some of us.â€™ I suspect this would be too great a challenge. Missing programmes we might have enjoyed is a common problem, though digital catch-ups make life easier. I will continue to highlight films that can be seen (at least in the UK) online. Percival Turnbull FSA, of the Brigantia Archaeological Practice, having read about â€˜the Battlefield Recovery affairâ€™, recommends Paul Barfordâ€™s blog, Portable Antiquity Collecting and Heritage Issues. Barford, he writes, â€˜has been for many years a tireless critic of treasure hunters.â€™ In a recent post he drew attention to a piece on The Pipeline in which one of the Battlefield Recovery team dismissed criticism of the films as â€˜academic snobberyâ€™, and described their self-judged professionalism as â€˜the opposite of Time Teamâ€™. That should win over archaeologists. Or not. â€˜That comment â€˜, said former Time Team player Francis Pryor FSA, â€˜was cheap, nasty and wrong.â€™ Pipeline also reported that Trevor Austin, General Secretary of the National Council for Metal Detecting and no wimp when it comes to defending detectorists, had said the NCMD had â€˜expressed concernsâ€™ about the broadcasts to Channel 5. Unless stated otherwise, tea is served from 16.15 and meetings start at 17.00. Guests are welcome if accompanied by a Fellow. Details of forthcoming meetings and events can be found on the 'Events' page of the Society's website. 4 February 2016: â€˜The Ship Beneath the Floor: Chatham Historic Dockyard', by Dan Atkinson. Please note: there is a ballot scheduled for this meeting. 11 February 2016: 'The Treatment and Technical Analysis of the Society's Parmetier Panel, an Early 15th/16th-Century Franco-Flemish Painting', by Emma Jansson. Please note: there is a ballot scheduled for this meeting. 18 February 2016: 'The Islip Roll Re-Examined', by by Matthew Payne, FSA. Details for the full spring programme will be available on the website by in the new year: www.sal.org.uk/events. You can also catch up on meetings you missed this autumn by watching our lecture recordings (visit the events page and filter the results list by choosing 'past events'). Interested in proposing a lecturer? Please download and complete the Lecture Proposal Form, and email it to RenÃ©e LaDue, the Society's Communications Officer (rladue@sal.org.uk). Public Lectures are held from 13.00 to 14.00 on Tuesdays. These lectures are very popular, so advance booking is advised to be sure of a place. 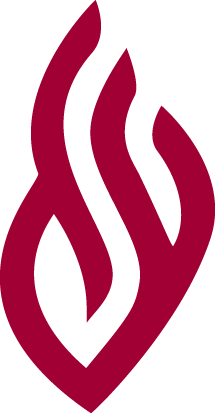 Details of forthcoming lectures can be found on the 'Events' page of the Society's website. 23 February 2016: 'The Camera and the King: Photographing the Excavation of Tutankhamun's Tomb', by Christina Riggs FSA. Unfortunately, this lecture is now fully booked. But we hope to post a recording after the event! 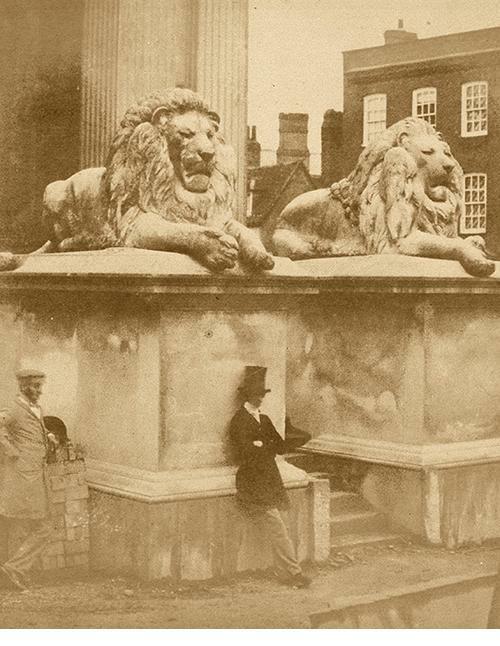 There will also be a public tour of Burlington House on this day (booking required). 22 March 2016: 'Denim: Fashion's Frontier', by Emma McClendon, Janet Arnold Award Recipient (for research into historic dress). A few places are still available! Book now! 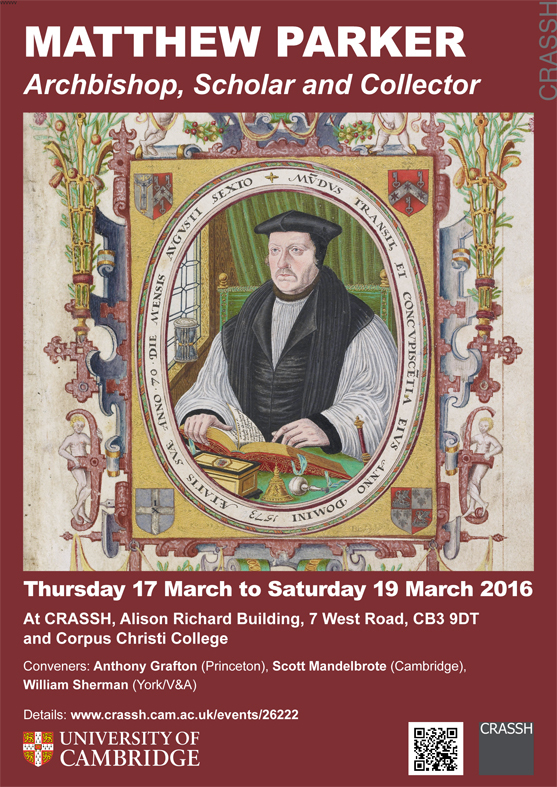 Click here for the full programme of public lectures 2015-2016. The next in the Societyâ€™s regular series of introductory tours will take place on 24 March and 23 June. Tours are free, but limited to 25 people, so places should be booked in advance. Please contact the Societyâ€™s Executive Assistant (call 020 7479 7080 or email admin@sal.org.uk). Tours start at 11.00, and coffee is served from 10.45. Lunch is available at the end of the tour for Â£5, but must be ordered in advance. There will be further tours scheduled in the autumn. For a list of short courses and workshops put on for historic environment professionals at Rewley House by the Oxford University Department for Continuing Education, see this earlier Salon. Gillian Draper FSA leads a day school at Canterbury Christ Church University, Kent. Details of this and other courses can be found on the University website. A conference at the Parker Library and at the Centre for Research in the Arts, Social Sciences and Humanities will explore collaborative scholarship, the retrieval of the past, and the history of the book in 16th-century England. The conference is convened by Anthony Grafton, William Sherman and Scott Mandelbrote FSA. Plenary speakers include Debora Shuger, Alexandra Walsham and James Carley FSA. Speakers include Brian Cummings FSA, Arnold Hunt FSA and Elisabeth Leedham-Green FSA. Those wishing to attend should register by applying to Katie Weeks (kw450@cam.ac.uk): early booking is recommended since space in the Parker Library is limited. Gillian Draper FSA leads a study day at University of Kent, Tonbridge Centre. Details of this and other courses can be found on the University website, by emailing tonbridgeadmin@kent.ac.uk or by phoning the Centre on 01732 352316. A public lecture by Kevin Leahy FSA, National Adviser, Early Medieval Metalwork, Portable Antiquities Scheme, in the Bedingfield Room, The Bar Convent, York. For details contact Stephen Greep FSA at sjgreep@gmial.com. A major conference organised by the Roman Finds Group, at Kings Manor, Department of Archaeology, University of York, 13.00 Friday until 16.30 Saturday. Keynote speaker will be author Lindsey Davis, with a reception at Yorkshire Museum. For further details contact Stephen Greep FSA (sjgreep@gmail.com) or see the Roman Finds Group website. 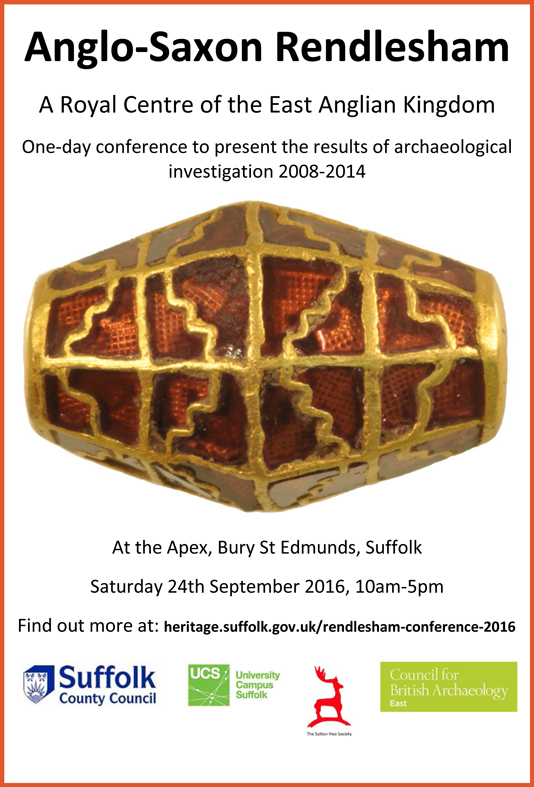 A one-day conference to present the results of archaeological investigation at Rendlesham 2008â€“14, at the Apex, Bury St Edmunds, Suffolk. Speakers include Chris Scull FSA and Jude Plouviez FSA, and discussions will be led by Martin Carver FSA, Catherine Hills FSA and Leslie Webster FSA. For details see Suffolk Heritage Explorer. 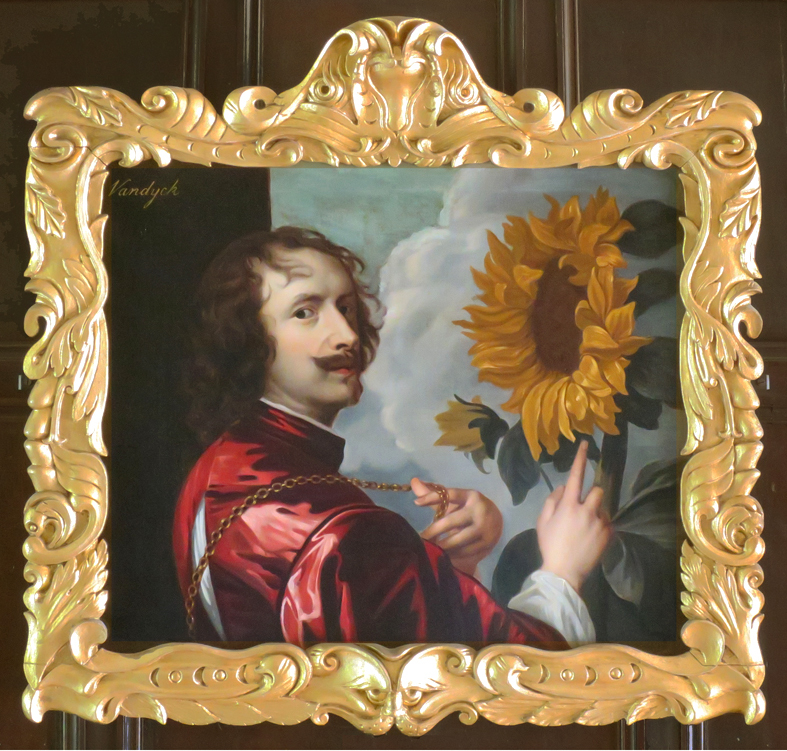 A two-day international conference at the Wallace Collection will be the first dedicated to the Auricular style, centring on one of its most significant manifestations, the picture frame. The conference aims to stimulate awareness and study of this style by bringing together research in fine and decorative art histories. It will consider the origins and development of the style in different materials, together with its dissemination between European centres. Fourteen speakers are anticipated, and currently include Karen Hearn FSA and Jacob Simon FSA. Displays to run simultaneously with the conference are planned with the Guildhall Art Gallery, and Ham House, London. Relevant topics include connections between countries, the Van Vianens, Fontainebleau, the grotesque. â€˜Mediciâ€™ frames. the influence of prints, Auricular settings, craftsmanship, the styleâ€™s decline and its revivals, and more. Enquiries and submissions (300â€“400-word abstracts) to alabone.g@gmail.com by 29 January, 2016. Convenors Gerry Alabone FSA and Lynn Roberts, in association with the Institute of Conservation (Gilding & Decorative Surfaces Group). Please download and complete the Lecture Proposal Form, and email it to RenÃ©e LaDue, the Society's Communications Officer, if you are interested in giving a lecture at one of the Society's Ordinary Meetings (Thursday evenings at 17.00) or as part of our Public Lecture series (occasional Tuesday afternoons at 13.00). We welcome papers based on new research or themes related to the Society's field of interest: the study of the material past. You can view our current lecture programme in the Events section of our website. Fellows are also encouraged to propose topics or themes for conferences or seminars that bring scholars and professionals from a variety of disciplines together to explain, discuss and debate our material culture. Please download and complete the Conference Proposal Form, and email it to RenÃ©e LaDue, the Society's Communications Officer, if you are interested in helping us organise such an event. You are receiving Salon because you are a Fellow of the Society of Antiquaries or because you have asked to be put on the circulation list. Subscribe to Salon, our fortnightly e-newsletter. Unsubscribe (WARNING: You will no longer receive Salon nor any other e-communication from the Society). Forward this e-newsletter to a friend. The Society cannot guarantee the accuracy of, or accept any responsibility for, the contents of Salon. Readers who wish to use or quote from items in Salon should always check the accuracy and current position with the source.